The following is a suggested list of the equipment for Mountaineering. Since a good amount of outdoor equipment does not hold up under the stress of a climb, we do make some recommendations for particular brands or items. 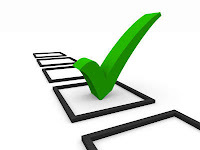 We also provided the downloadable equipment checklist. 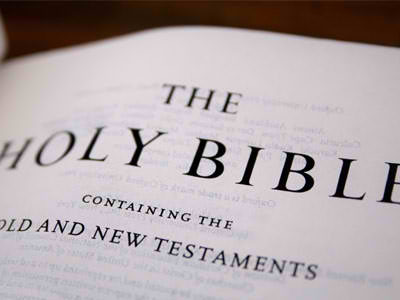 _____ BIBLE – Having the Word of GOD for our journey in life is an absolute must for us. _____WATCH – For synchronizing all activities and items on the itinerary. _____ HIKING SHOES - Lightweight hiking shoes are advisable. Your shoes should fit very well with a pair of heavy wool socks. Good footwear is extremely important and unique to each person you should be comfortable and self-sufficient, with everything you need on hand. _____ SOCKS - Outer socks should be high-quality wool or a synthetic blend. Bringing at least two pairs that you will be active in, and a third pair to wear while sleeping is an advice to consider. Remember, wearing anything too tight reduces blood flow and therefore your ability to stay warm. _____T - SHIRT– Polypro or some other synthetic. _____ LIGHT WEIGHT UNDERWEAR (2 SETS) – This includes long underwear top and bottoms. All underwear must be polypropylene or wool. We recommend bringing two sets of long underwear, one set to be active in and one for sleeping. Other mountainners uses disposable undies but this is not a good idea because it is also increasing the potential volume of garbage. _____FLEECE JACKET - A good fleece jacket is required and wind-resistant fleece is especially good. This can be a pullover, but a zippered jacket allows more versatility for controlling your temperature. _____PANTS - On Mountaineering a pair of fleece pants wool pants is recommended. Soft shell pants work great as well. They should be roomy and allow freedom of movement. 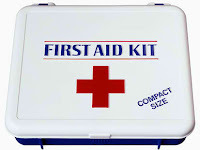 _____FIRST AID KIT - Carrying a large well equipped first aid kit is discourage but each person should bring any special medications, a few band aids, some mole skin, adhesive tape and a lighter. _____SLEEPING BAG - Your sleeping bag should be a mummy bag with synthetic fill or down fill with a dry loft shell. If using a down fill bag on a High Altitude climb, you may want to consider a vapor barrier liner. _____ASSORTED STUFF BAGS (3 or 4) - These should be waterproof and in assorted sizes. _____EXPEDITION PACK - Size and style of pack depends on the adventure that you will be going on. Remember your pack must be comfortable, durable, and roomy. If you are purchasing your pack for the expedition, make sure that you give it a thorough test, fully loaded. _____PACK RAIN COVER - This is an essential item to cover the pack during bad weather condition. _____BANDANAS (2) - The colorful silk or cotton kind. _____ TOILETRY KIT - Toothpaste, toothbrush, and personal medications. 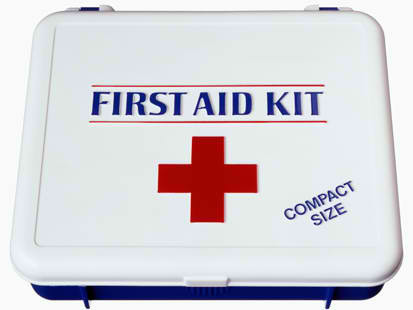 Other personal items to consider are: dental floss, wet wipes, a small container of waterless hand sanitizer and lotion. _____SUNGLASSES (TWO PAIRS)- High quality, polarized lenses with UVA and UVB protection. Wraparound sunglasses work well also. A nose guard is recommended. We suggest bringing two pairs of sunglasses in case of loss or breakage. _____SUN SCREEN and LIP BALM – Both with good high-protection SPF. _____CUP, BOWL AND SPOON - A plastic insulated mug is best, along with a Tupperware bowl with lid or large Nalgene jar with lid, and a lexan spoon. No metal. _____ WATER BOTTLES (2) – Nalgene wide mouth one quart. _____POCKET KNIFE - The Victorinox knives are the tested most especially the with scissors and also the Leatherman multipurpose tool. _____ HEADLAMP – Good for reading or rummaging through gear during the night. A small LED headlamp is fine. _____CAMERA- This item is a must! Pictures are sometimes the only way to describe what you have seen or done! Don’t forget extra batteries for digital camera. 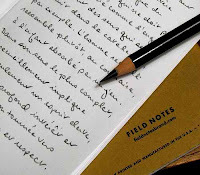 _____JOURNAL with PEN/PENCIL – Scrawl down a few thoughts each evening, so that you can go back and relive your adventure later. john, thank you so much for the encouraging comment. i pray that many people will realize how blessed and enjoying mountaineering is. GOD bless you too. thanks sir ed escueta for the comment. yes, it's our intention to help the mountaineering community in our little means. Hey Mountaineers! I'm selling my barely used Timberland boots for just 3k. Thanks for the comment Hiker Salike, we hope and pray that you will continue to enjoy reading our posts.